Mmasekgoa Masire-Mwamba was appointed as Botswana’s Second Ambassador to the Federal Republic of Germany. 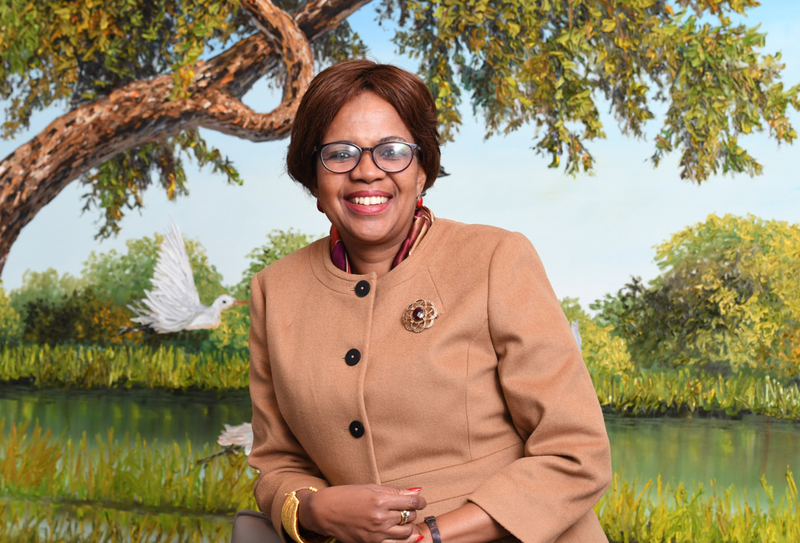 Ambassador Masire-Mwamba is an international civil servant, with over 30 years senior level experience in the fields of business, development and multilateral diplomacy. She served as the Deputy Secretary General of the Commonwealth for a period of six years up to 2014. The following year, she was nominated and endorsed as then the Africa candidate for the position of Secretary General, during the elections held in Malta. Her extensive experience and exposure includes 16-years in the telecommunications sector with Botswana Telecommunications Corporation, where she emerged as one of the most influential female executives. She was the first Motswana Chief Executive Officer (CEO) of the Botswana Export Development and Investment Authority (BEDIA). Amongst her signature projects was enhancing the global reach of the office through the opening of regional offices in Johannesburg and London; the establishment of a Global EXPO, an international export development platform and the initiation and development of a national brand – Brand Botswana. She holds a BSC in electronics and physics from the University of London, a Masters of Business Administration (MBA) from the University of Pittsburgh, a Bachelor of Law degree (LLB) and an Advanced Management Diploma from IESE (Spain). She is also a certified executive coach and trainer, having established a private company offering soft skills training focusing on Leadership Accountability and Board Governance. Mmasekgoa has served on various boards and community service institutions in the fields of tourism, business, civil aviation, and banking among others. She has developed Board governance frameworks and offers regional Board of Directors Forum in collaboration with UK based and regional Board governance experts. She led the Commonwealth Election Observer election in Lesotho in 2017. She was on the National Democratic Institute Observer team, as an observer for Ghana’s Presidential elections in December 2016. Still on issues of governance, she was invited by UNDP to join former Presidents of Malawi and Liberia as a member of the high-level panel on Governance in Africa, in Ghana 2017. She has been recognised in the legal field by the Honourable Society of Middle Temple Inn awarding her Honorary Bencher status in 2009. She was awarded, the 2015 International Distinguished Alumna Award by Pittsburgh University, in recognition of her achievement in business leadership. In 2018, she was awarded an International Women in Leadership by Dr. Long, at the London Political Summit in London. She is married to Bishop Trevor Mwamba and has three children Eno, Seneo and Lukwesa.